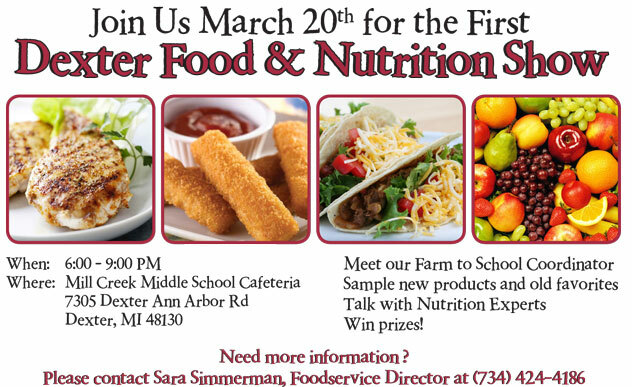 Come see us at the Food Show this Thursday, 3/20, between 6-9 pm! We’ll have samples of a smoothie made with Michigan-grown frozen blueberries, a presentation about the data we’ve gathered and our progress with Farm to School this year, as well as information about the farmers we’ve worked with this year. You can even meet a few of the farmers, speak with the Food Service Director, and fill out a feedback survey about your observations about school food and the farm to school program.